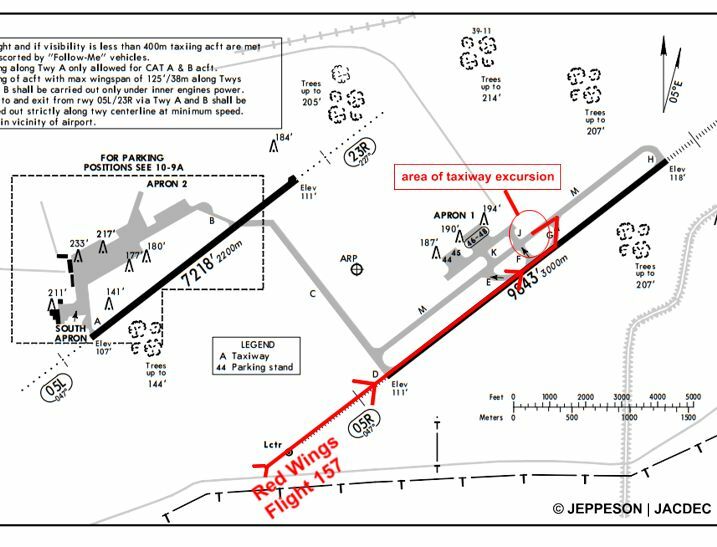 After landing on runway 05R in good visibility conditions, the pilots apparently lost directional control of the aircraft. 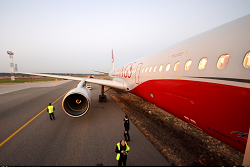 The Tu-204 drifted to the left side of the taxiway „Mike“ until its left maingear and nosegear rolled over unpaved surface. 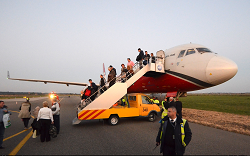 After a distance of about 100 meters the pilots stopped the aircraft and all passengers disembarked via mobile airstairs. There were no injuries. 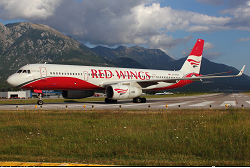 The aircraft was not damaged and flew back to Moscow later that day. Russian authority MAK is investigating the incident. After landing, the A320 veered off the taxiway coming to rest on the grass at Birmingham-Intl Airport, UK.